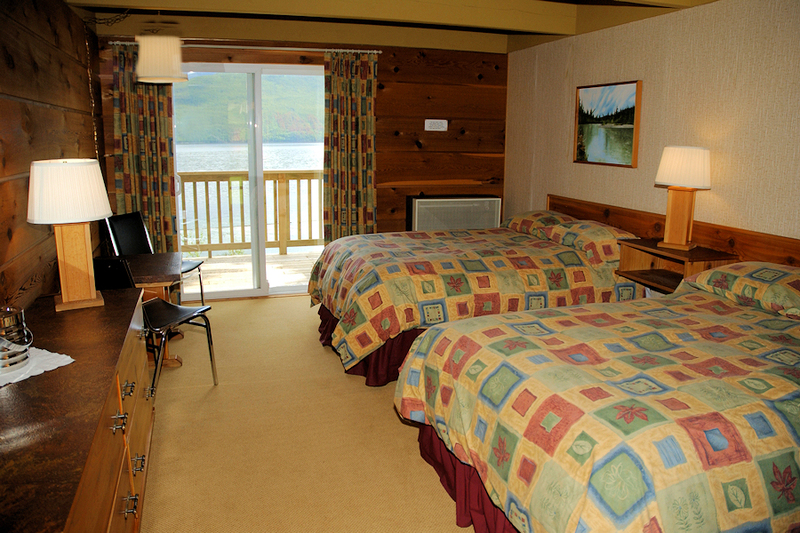 We have 8 cozy guest rooms that offer comfortable and affordable lodging on Quesnel Lake. 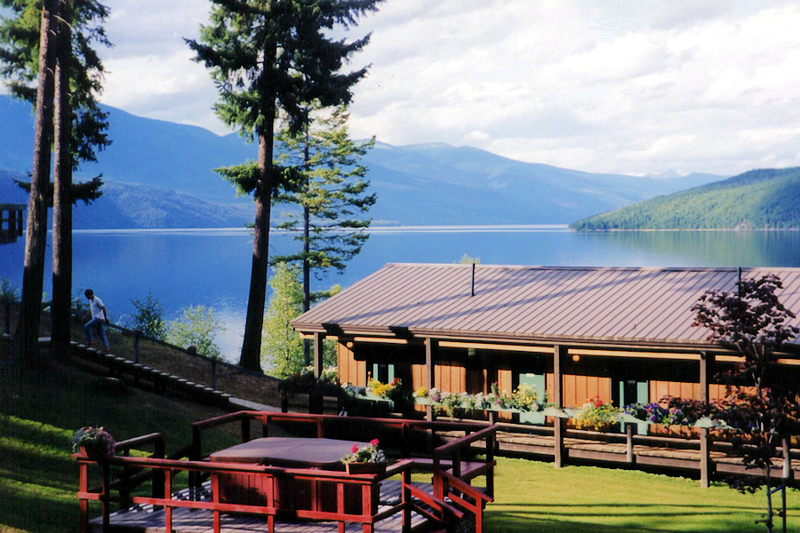 Each of our guest rooms has 2 double beds with duvets, private bath, sliding glass doors onto your own lakeside deck and spectacular view of Quesnel Lake. Maximum 4 people. No pets. 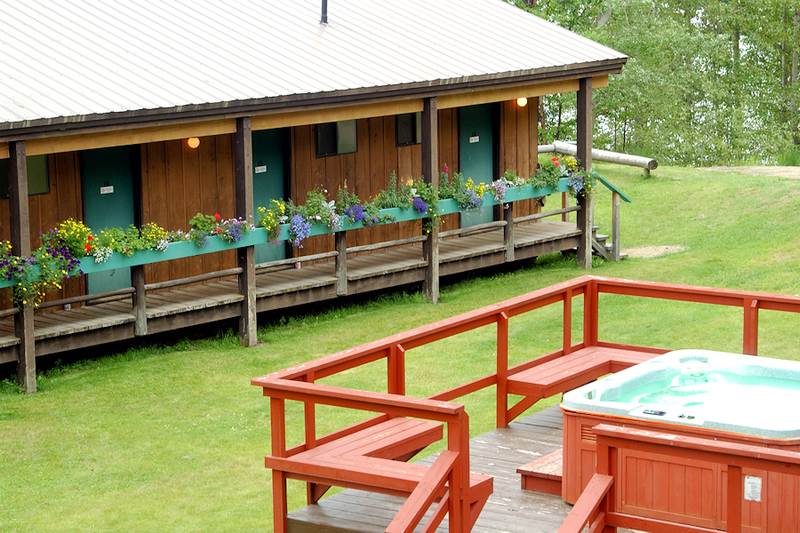 Daily Rate* $125 1-2 people or $99/night for 3 nights or more. Discount for Weekly Stays: the 7th night is free when you book our guest rooms for 7 or more consecutive nights. Applies to lodging only. Includes: One of our cozy guest rooms (as above) and all meals; breakfast, a la carte lunch and dinner (hearty packed lunches for fishermen and outdoor enthusiasts), full use of resort facilities & amenities.